well, we’re back from wizard world philadelphia only to get ready to leave again in 2 days for heroes con. no rest for the wicked! we on award tour! Wizard World Philadelphia was fantastic for us! the space was much larger than before. some say it was a bit too large but for us behind the tables, the extra breathing room was definitely welcomed. we had lots of people come by our tables to hang out, buy prints and get commissions from us. these shows really remind us of why we do what we do. cuz we certainly wouldn’t be away from our families this often if we didn’t love doing it for the people that appreciate our art. the ID Comics Studio panel went great. folks really had some great questions and hopefully we’ve managed to inspire at least 1 person. 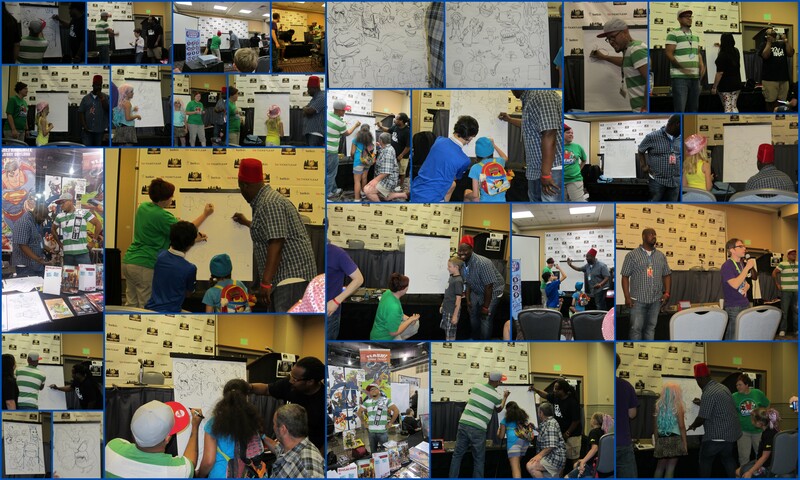 =) on Sunday theFranchize and Flash battled at the SCRIBBLE! DOODLE! DRAW! panel. theFranchize attempted to get the title belt from Flash who currently held it from Awesome Con a couple months back but he lost his lead in the end. 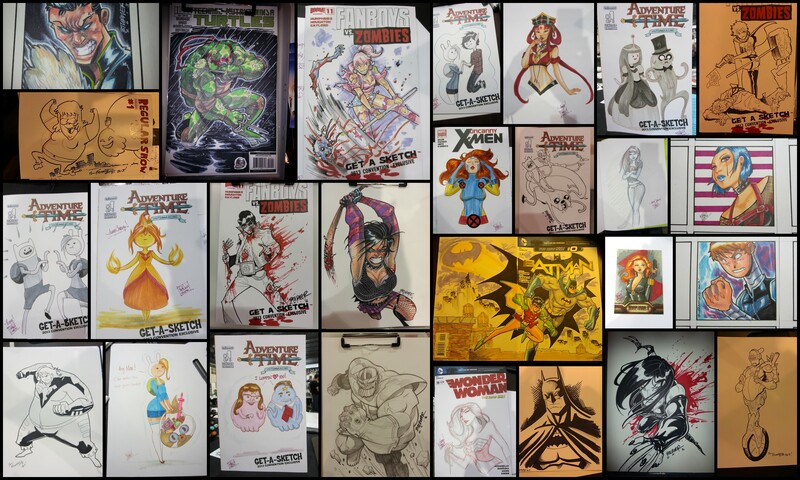 great talent all around the con floor. got to hang out with our buddy and super cool artist Kevin Bolk (and his crew). we even got to meet a couple of celebrities. all in all it was a successful weekend despite the fact that we missed Thursday. we tried very hard to get there though! on the road up to Philadelphia on Thursday, our car broke down. long story short, we had to get a rental car and make our way back up to the show but it was just too late. 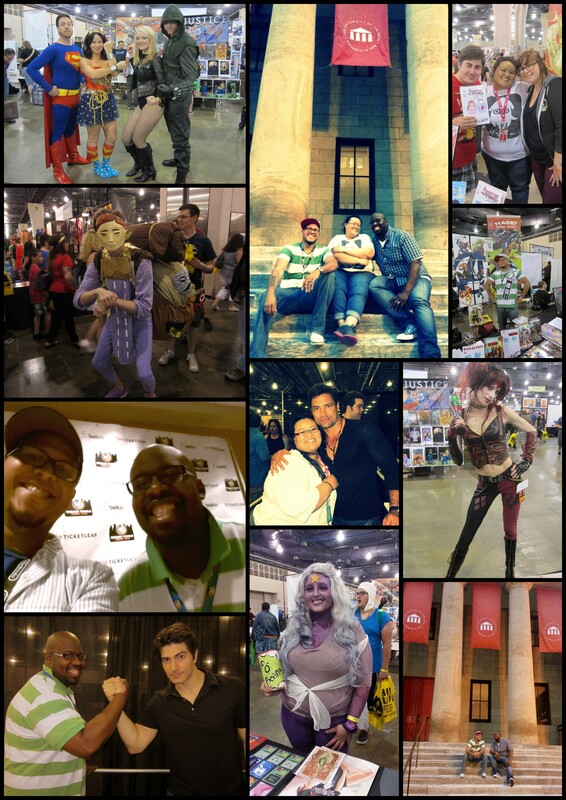 here are pictures from our fun weekend at Wizard World! we’re headed out to Wizard World Philadelphia which is open from today till sunday! we’ll be at Booth 2210 so come on by and see us if you’re going!